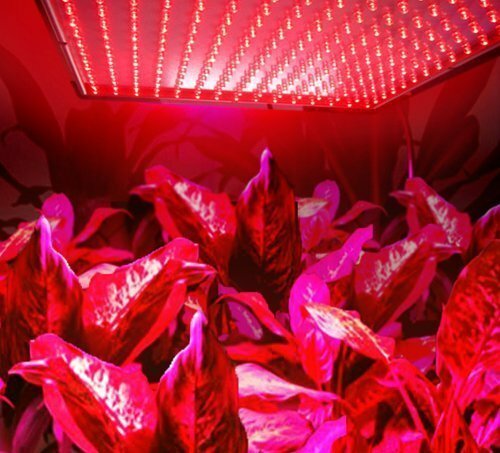 This LED Light uses combination of Red lights can make your plants flourish more and thickset. The Red light (660 nanometers) ensures large absorption of the nutrients. you can give full care to your plants. Much brighter and More effective! Excellent for your plants! It saves up to 90% in energy consumption compared to incandescent bulbs or fluorescent tubes. Recommended Coverage: One panel per 6.5 square feet! Best Material - ABS plastic material molding, US plug, built-in drive power. 15W led grow light kit, led grow lights for indoor plants. High Luminous Efficiency - One panel per 6.5 square feet! It would be better if it cover 2-3 Sqm at 1.6FT- 8.2FT height. Low Power Consumption - Uses VERY limited power (7*24hours no crazy increase in electric bill). our LED plant panel barely emits any heat, prevents any damage to your Garden Plants and perfectly keep temperatures. Widely Used - Widely used in greenhouses, plant factory, greenhouse farming, flower farming, indoor gardens, water soluble breeding, pipeline cultivation, farm, potted plants, spray the plant, tissue culture and so on. especially suitable when the plant need extra boost of light. or there is little sun, or in raining, snowing , dark, indoor environment, etc. If you have any questions about this product by superdream, contact us by completing and submitting the form below. If you are looking for a specif part number, please include it with your message.